"The Essential Atlas Guide" would be extremely useful. In fact, if anyone does attempt this in the future please include me in it. I do own the book and would be willing to research anything (online or off) for the project. SE doesn't directly support the catalog of stars for galaxies far far away. They will have lack of precision: They will jump on screen while camera moves. I must implement another mechanism for the catalog stars - embed them into the galaxy's procedural stars' octree. And add support of a more useful coordinate system - Cartesian, so stars can be set by XYZ coordinates relative to the galaxy's center. Its unfortunate that this isn't doable at the moment, but I look forward to a possible update in the future where it could be! 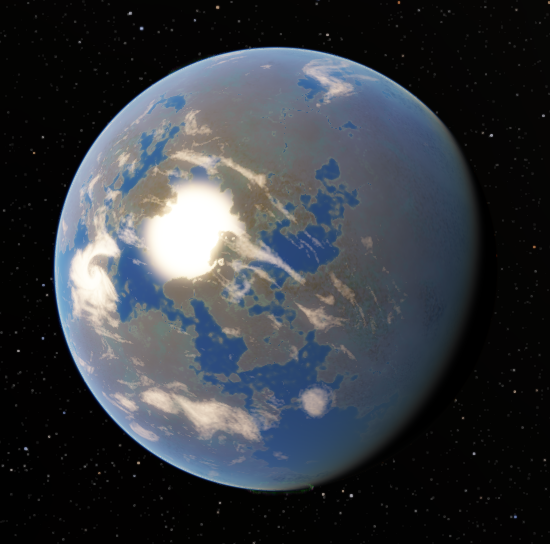 A few years ago there was a thread about creating a custom galaxy for Star Wars planetary systems. To my disappointment SpaceEngineer himself came and said that doing such a thing was not possible at the time. 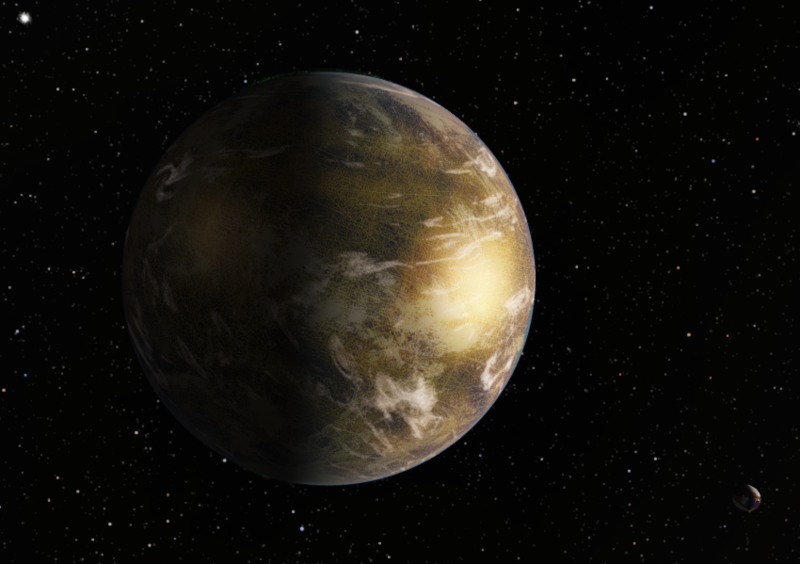 That was more than two years ago and SpaceEngine has come a long ways from then. After much searching I was not able to find anyone else discussing the possibility. It was as if people had just given up on the idea because the developer said that at the time it wasn't possible. Ultimately I want to ask, is it possible now? I see stickied threads talking about creating custom moons/planets/stars and even galaxies! So if this is true what is truly stopping this project from becoming a reality? I have tried to wrap my mind around the methods described in said threads in regards to modding these bodies into the game. If a XYZ Cartesian type coordinate system has not yet be included as SpaceEngineer hinted at in the previous thread, is it not still possible to instead create a custom galaxy, and then find stars in the approximate desired location and simply edit the star and planetary bodies orbiting it into a more desirable type? I do not believe this is an idea that should be surrendered so easily, especially with the spacecraft features being implemented and improved. The possibilities of exploring a galaxy far, far away are much too enticing to give up on. Just search for a procedural galaxy that looks like the ones described here and name it star wars galaxy. Problem solved - no big deal . spacenavy90, he never said it wasn't possible, just that there are visual bugs when placing catalog stars at large distances. There's nothing stopping anyone from making an addon like that, and if I'm not mistaken some people have made and released Star Wars planets and systems. Also, please read the forum rules. If you want to ask a question about a thread, ask it in that thread, do not make a new one. No, not even close. Did you look at what was being described in that thread? It had nothing to do with naming a galaxy. Just search for a procedural galaxy that looks like the ones described here and name it star wars galaxy. Problem solved - no big deal dry . That is not even remotely the same thing. spacenavy90, he never said it wasn't possible, just that there are visual bugs when placing catalog stars at large distances. Semantics aside, my question still remains. Has that problem been fixed yet or not? and if I'm not mistaken some people have made and released Star Wars planets and systems. I believe I found the project you are referring to. The "Star Wars addon" by RockoRocks. To be honest it is a little obscure considering it was hidden away within the Addon Development Thread. And it seems it as only recently continued being worked on again according to the developer one month ago. Ultimately I want to ask, is it possible now? Yes, but not very easy. Toty did it before for 0.97.0. I updated his add-on for 0.97.1 and added lots of planets. When I updated it for the new version loads of stars were completely oud of the galaxy and I had to move all of them which wasn't very easy either. The galaxy looks very cool in the new version from the inside. 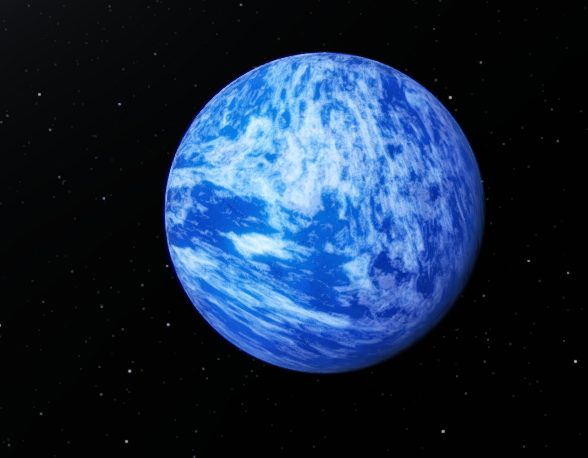 It uses some really old galaxy model which was the Milky Way model in very old versions of SE. Has that problem been fixed yet or not? No, it has not. But as I said, it does not affect the feasibility of the addon. It's hardly hidden. The forum rules are stickied at the top of each subforum, and that particular rule is the only rule which is marked in bold text. If you don't read the rules when they are made so easily available, that is not the fault of the rulemakers. Also, if that is common on almost all forums these days, then it should not come as a surprise. I wasn't asking a question about that particular thread, only referencing it to a more broad topic. Then you chose the name and location for your thread poorly. But it seems that you were essentially commenting on a discussion that happened there, and thus it could have gone there. There is no stigma against posting in old threads here; in fact it is preferred to making a new thread. Those pictures look very nice. Now that I know someone is working on this, I would like to know how you are doing in the simplest way you can explain it. For example, did you create the galaxy and add in custom star systems? Or did you find a random galaxy, change up the name and then edit the stars? 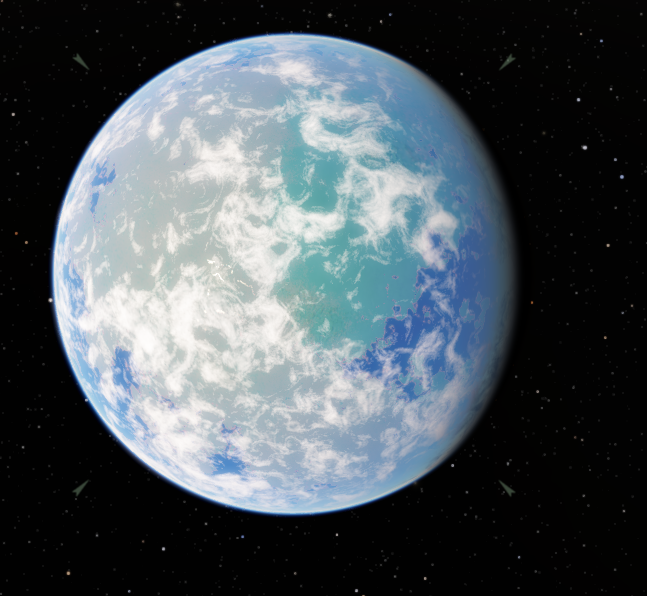 Or maybe I just don't understand how modding systems in SpaceEngine works? But another question I have is, what is the most difficult part about the project that makes the progress seem so slow? Toty already placed the Star Wars galaxy in a certain place in the universe with coords, at a certain distance. He already put some planets in it. Open this spoiler to see how I added more star systems. Basically this is extremely accurate placing of stars, just like you would place them anywhere inside the Milky Way. You can place catalog stars anywhere in any galaxy you want, but the further the galaxy is, the more accurate you'll have to place them or they'll be outside of the galaxy. Distance and RA/declination must match that of the galaxy, with some very tiny adjustements (otherwise the stars are placed in the exact center of that galaxy, which is not desired). 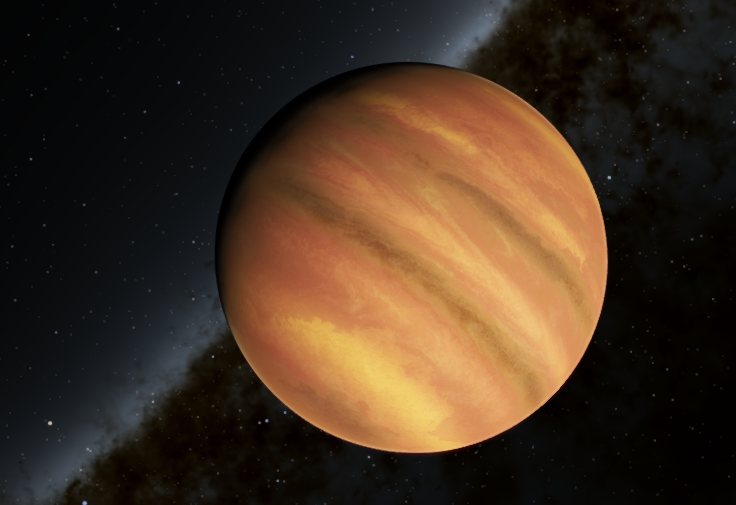 Now, the method I usually use for adding planets accurately in the galaxy is not very easy to explain. First I zoom in a lot on the galaxy, then I turn up maximum magnitude to about 35.0 (so clusters and other things are visible in that galaxy). Then I click an object like an open cluster and view its Wiki information, copy the coordinates and distance into the catalog file for the StarWars stars and there you have the star in the exact place you want. No, Toty did, but I could have done it aswell. I basically used his unfinished addon as a template. I might have to ask his permission before releasing the addon with his original planets first. Probably my laziness but these posts encourage me to work on it again. 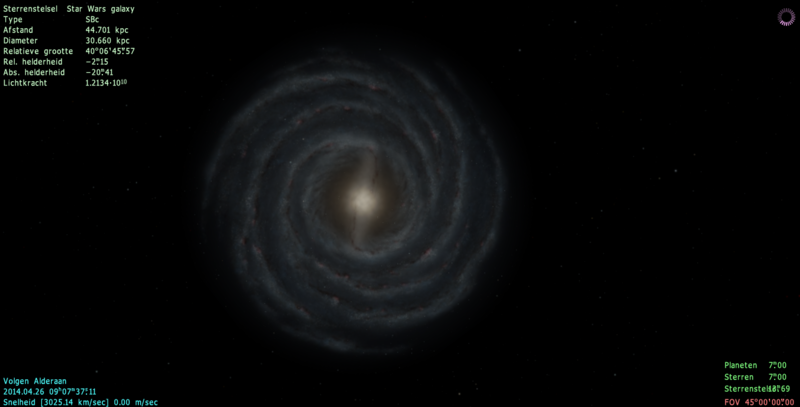 Naming a random catalog or procedural galaxy and then finding procedural systems in that galaxy that resemble the systems from star wars and then editing them, might actually help with the problem of creating a new galaxy and every system from scratch and trying to accurately place them in SE. It would be wiser to think a bit more before rejecting someone's suggestion.. It would be wiser to think a bit more before rejecting someone's suggestion.. I wasn't saying that wasn't an option for this sort of thing, I was saying that that's not at all what the poster was asking about. Also, you said it with a pretty poor attitude. Given those two facts, you probably shouldn't be talking back about it. Just forget about it and move on. Naming a random catalog or procedural galaxy and then finding procedural systems in that galaxy that resemble the systems from star wars and then editing them, might actually help with the problem of creating a new galaxy and every system from scratch and trying to accurately place them in SE. As HarbringerDawn said, it was originally posted with a negative attitude. I had this type of approach in mind while considering the project but I wasn't even sure this was possible. It does seem so much easier than what RockoRocks describes.